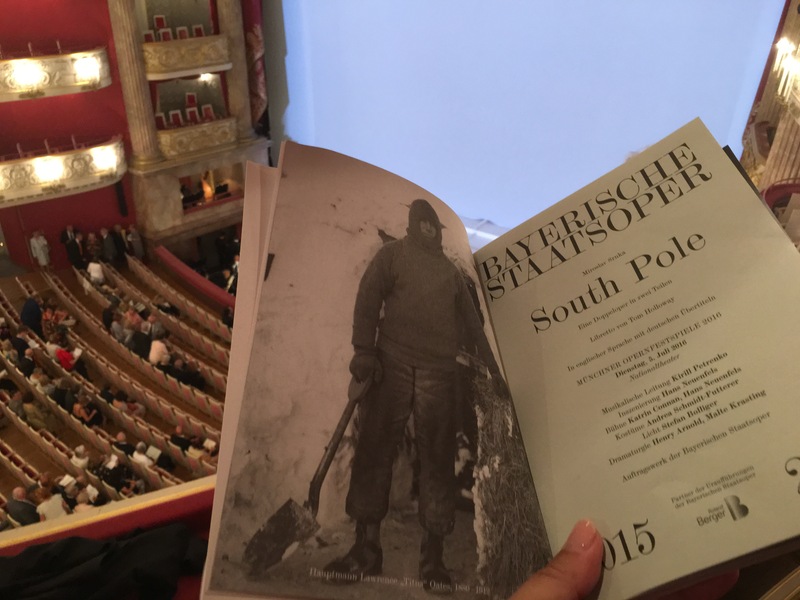 The evening after return from the South Pole left me in split feelings reconsidering preferences and future choices, – are my expectations correctly set when planning to attend modern opera production? This was time and again when internal contradiction raised question either I need to find sources to learn more or just give more chance to a modern form of the art in the future while planning my exploration schedule? What is unquestionable, that Miroslav Srnka has clearly managed to create the score where immersion effect of being transported into another universe is even palpable – instead of expected harmonies you will get a soundcloud like no other with sounds imitating nature forces at the same time creating the tightly vowen fabric of human mind at work. 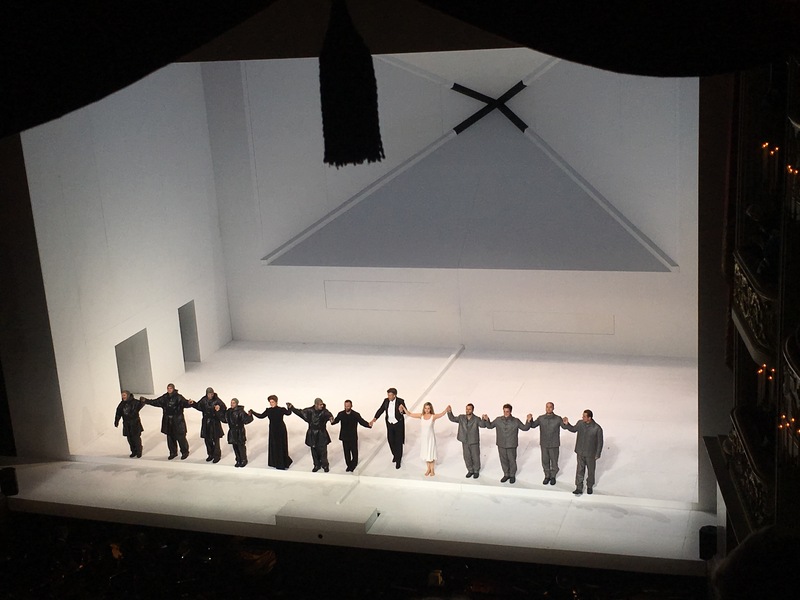 At the first look at sizeable orchestra you would expect much more absorbing sound, while actually they were present all the time in the most unobtrusive way tactfully led by Kirill Petrenko. 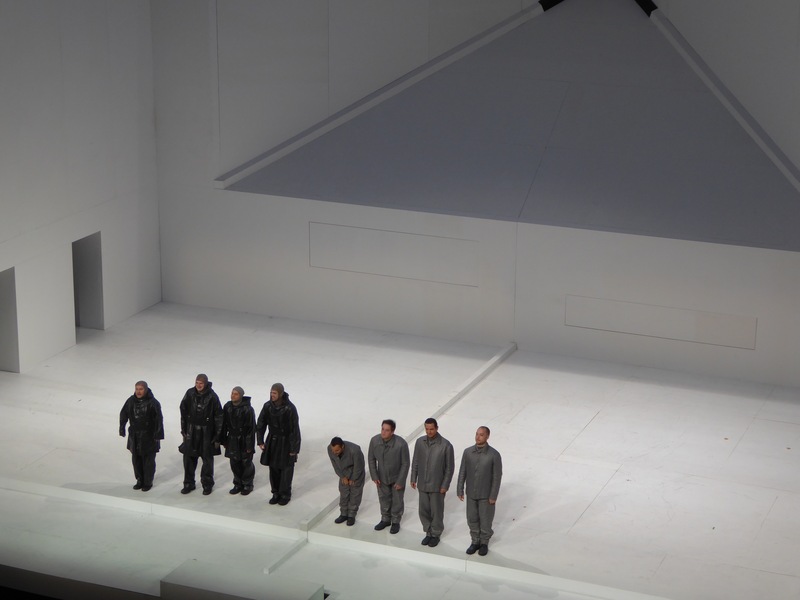 The centerstage belonged to both competing teams and their leaders and here both Rolando Villazón and Thomas Hampson demonstrated their world-class vocal capabilities – since both roles are very complex, either full a capella or without sizeable orchestral backing that might soften any smallest unevenness. Both roles require both strong stage presence and acting capability, which were demonstrated at the best by both protagonists. 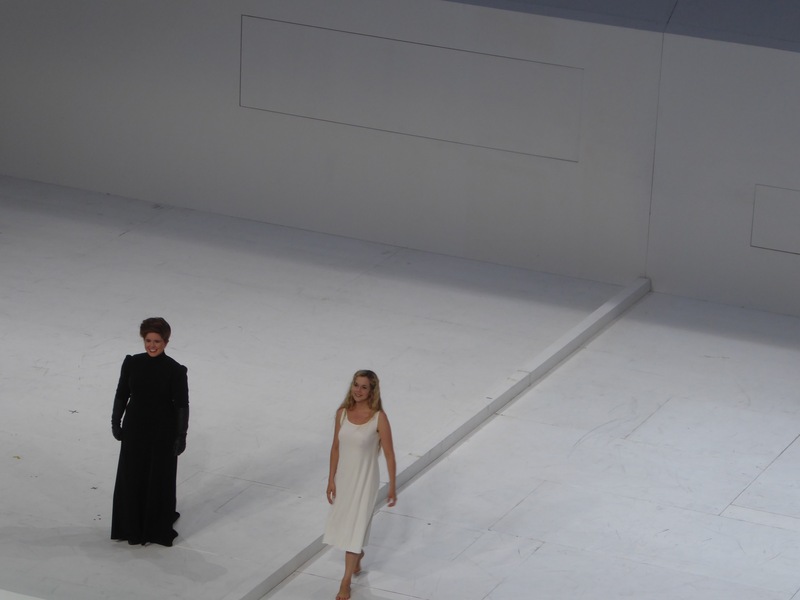 This is one of the performances I can not tell I liked, – I was impressed, I did recognize importance of the event and admire Hans Neuenfels production- but I need to admit that it is still a long exploration path in opera world ahead of me to fully appreciate whole depth and beauty of this particular work. Nevertheless, always happy for new discoveries, like Mojca Erdmann in the role of Landlady, and glad to see many favourite artists in new roles as well. Notably, in a rather small but important role it was a pleasure to see and hear Tara Erraught again, she as always delivered vocally convincing and dramatically engaged portrayal.